There is no doubt that India is a country obsessed about cricket. From the gullies to the fields, the game attracts the young and old alike. However, not everyone is fortunate enough to go beyond the gullies, and learn the fine art of the sport. 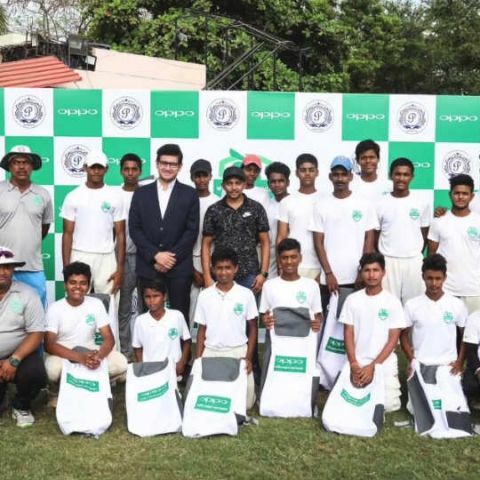 OPPO is doing its bit in this regard by helping underprivileged children learn the sport from professionals. This a part of the company’s CSR initiative, and is about giving back to the community. OPPO knows how big cricket is in India. After all, it is the title sponsor of the Indian cricket team and is partners with ICC. This particular CSR initiative kicks off at Payyade Cricket Club, located in Kandivali, Mumbai, where 20 underprivileged kids have been given a chance to be trained by professionals for a year. Who knows, the next Sachin Tendulkar or Anil Kumble might be among these 20 lads.